The following short video shows you how it looks like. I have installed various fields that are usually used and a number of issues arise in the coding. Similarly, a separate class has been incorporated as an extension of the customizer, to use text areas. A number of methods are available and can be overwritten. enqueue() - Enqueue control related scripts/styles. value() - Fetch a setting's value. Grabs the main setting by default. check_capabilities() - Check if the theme supports the control and check user capabilities. maybe_render() - Check capabilities and render the control. render() - Render the control. Renders the control wrapper, then calls $this->render_content(). render_content() - Render the control's content. 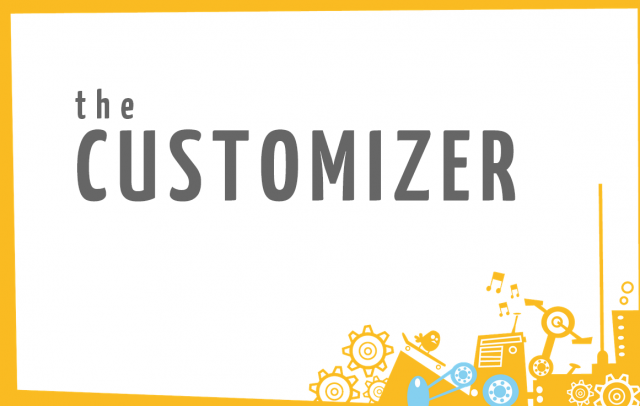 As a brief example we will create a class that enables you to use textarea elements in the customizer. The most important method is render() and it has to appear all the markup and output objects. Constructor and declared variables are not mandatory. The resulting class I use, for example, in the theme documentation, downloads and maintenance status on Github. Alternatively, you can grab the class from the project WordPress-Theme-Customizer-Custom-Controls on Github, expand, improve, where there are other classes. Great video & the class. I did some similar thing, but not comprehensive as yours. I'll take a look at your class and maybe contribute to it. Thanks for share, probobly I use these customizer in my polish fashion projetct. This wordpress theme custoizer custom controls tutorials are out of my mind because i'm not so expert in these kind of customize. But surely this articles useful to other. Thanks alot ! I must say that it is a very useful utility for all bloggers. thanks for this informative post. keep sharing stuff like this. Thanks for sharing it. Very helpful article. Thanks to Frank, video was like boiled rice, ready to eat. Customizing wordpress theme is not an easy task. but it is beneficial for those who know how to play with classes. Thanks for useful info. The articel ist very easy to read and now i can try it to get it by myself:) Thanks for this!